When I was but an impressionable teenager (more than a decade ago! ), I had the awesome opportunity to visit Paris twice one summer, and not be constrained by a tour guide or parents with a set itinerary for the day. Because my family lived in London at the time, and my parents were busy with diplomatic work and socials, and I had friends that needed to be “entertained”, my dad decided that I bring them at least to Paris - to make the most of their trip to Europe. So we crossed the English Channel to explore the City of Lights on our own, with yours truly as the tour guide! After doing the requisite rounds of the Louvre, Notre Dame Cathedral, Arc d’ Triomphe, La Tour d’Eiffel, and a stroll down Champs Elysee, I made it part of the itinerary to visit Galleries Lafayette, wander the streets to window shop through the luxe stores and people watch (forget Montemartre and the Sacré Coeur, it will always be there! Hahaha! Sorry girls if you missed out on that)!!! To cut a long story short, I saw plenty of chic French women toting Longchamp Le Pliage bags. All well dressed, each one elegant in her own way. And I vowed that when I get a bit older, I’d have Longchamp bags in my closet. And you know what, now that I do, I am very pleased to have a space saving bag that I can unfold when needed. Not to mention, an inexpensive yet chic one, in the French sense of the word! They have proven to be such a fantastic buy, that they have become my constant and trusted companion in all my travels! Very useful especially for last minute purchases! Heehee! Check out Rustans and duty free shops (the cheapest ones are in Europe! My friend Yvonne got hers at the Heathrow duty free shop for only 50 euros! She was also able to get a huge one on sale some time back in Paris for the equivalent of P1000!) and get your own Longchamp Le Pliage tote! Its a classic bag that will never go out of style! But if you're looking for something funky with a dose of preppy! Don't fret! 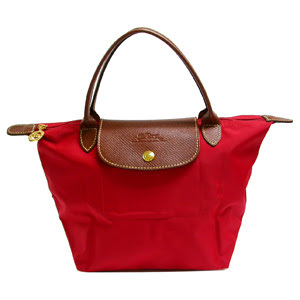 Longchamp has something that will make you go "Woohoo"! Hi Tin! These bags were on sale at 40% off at the Hong Kong airport's duty free shop this month! Selected colors only though... white, light blue, light green, and light pink. And you're right, these bags are sooo sulit! I was lucky enough to have one with me when I was in Singapore last month, and even if if was raining and my bag got drenched, all my things inside were kept dry, and my bag was good as new the next day! Wow! 40% off Pam! I hope the Singapore or the Frankfurt airport shop has Longchamp bags on sale too! Because its really super sulit! There's always room for one more, hehehe! Hi gladys! Yeah I heard about this from my sister but I thought they only did monograms! I haven't seen the site! Thanks for sharing! 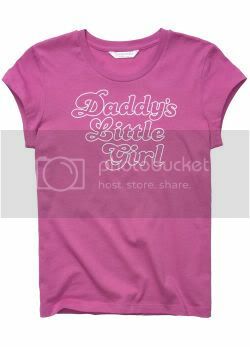 Its so galing I can pick out colors and stripes pala! Super cool! I "played" with it to see what colors look great together! I want a personalized Longchamp na! Hahaha!